It's an excellent episode.Very dark but very important for the story arc.I could almost feel Londo's fear and desperation when he came out of the palace and saw all those jump points forming around Centauri Prime. An A-, definitely one of the best of Season 5. This episode also really feels like it should have been a two-parter. From every perspective (Londo on Centari Prime, Delenn and Lennier floating helplessly in space, Franklin and Leta desperately trying to get the information in time and Sheridan racing to stop it all) we really get the feeling that this is the 11th hour. Lochley speaking her log entry is again used as a narrative device. Was Londo only being tested for his suitability, or was some kind of operation necessary to prepare him for the Keeper? Why did Delenn take Lennier on the mission? Did he just happen to be in the area? What was G'Kar writing in prison? Just a journal, or continuing his Book? I admit to watching this and the following episode back to back, so more on the next thread. I think it was just a suitability test. She's trying to keep it secret; remember Sheridan said they couldn't do this mission in the open, so Lennier is the one she trusts to keep it covert. No, he's just an opportunist. This is a VERY exciting episode. Kind of depressing, but exciting, for sure. There is SO MUCH going on here. Unfortunately my DVD appears to be broken, so so it was kind of a jerky experience, and I had to skip bits here and there. 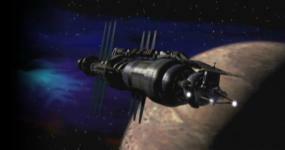 At least 7 Centauri are murdered on Babylon 5 in three days. That's a HUGE number of murders for a population of 250,000. This war just seems more vicious than other wars ... Not that earlier Narn/Centauri war wasn't vicious. But that's a LOT of murders. Mainly, I feel terrible for Londo in this. And Regent Virini... and all the people on Centauri Prime, I suppose. I bet they all thought things would get better after Cartagia and the Shadows were gone. On the thread for the previous episode there was a question as to whether Londo honestly believed that his government wasn't behind the attacks or not. This episode is the one with the evidence I need to say why I think he believes that they didn't do it. Londo knows that something strange is going on with their ships. But in order to be responsible for the attacks on the Alliance, the Centauri would need more than ships, they'd need crews to run them. Personally I suspect that's why Londo doesn't believe the Centauri are behind the attacks. While it might be possible to divert some of the ships, having that many people just vanish on mystery operations without any of his massive spy network pick it up was something that Londo (probably correctly) deemed impossible. There would just be no way that the Centauri military could be attacking alliance shipping in a way that he wouldn't have heard of it. Of course, the shadow tech that makes an appearance in this episode is the thing Londo doesn't know about. With it the Regent can conduct the attacks without leaving the kind of trail Londo was so certain he could pick up. Whatever he was writing, the fact that he *was* writing, basically smiling and probably humming contently (seems that nothing much can faze G'Kar these days), sort of underlined the all-round terribleness that was going on outside of the few squaremeters of prison peace. Again, very nicely, albeit terrifyingly done, B5. The scene with Vir, Lyta and Franklin was amusing I like how the main characters are totally at ease with Vir even though it's his people who are behind the atrocities (or at least that's what they think) so they could have cause to be at least a little bit aloof. It's really starting to grate on me that the Drazi and Brakiri are "stupid". I tend to like Narns but they are just as bloodthirsty and unwilling to see any kind of bigger picture. "They killed our civilians first!!1!!" Such a childish attitude it would be hilarious if it wasn't so sad. And tragically not a fictional attitude at all... just read history. Or current newspapers. So I totally get why Sheridan looks angry pretty much all the time. Does it only now hit him that he's basically surrounded by f*cking idiots? I'm reading the synopsis: "The Drazi kept the pods secret so they wouldn't have to turn them over to the Alliance, and because they have always competed with the Centauri for trade; a war is in their best interest." For some reason I didn't realize that so well while watching but yes: "in their best interest". Again: SO not fictional. I find I'm in a bit of a mood today for some reason. I've no tolerance for warmongering aliens hellbent on revenge and/or advancing their trade. Stooping to Centauri level - that's the way to go. Nice one!! Lyta is going to the Dark Side. Forcing the Drazi to commit suicide. So this is better than being constantly at Vorlons' (or Byron's) beck and call? Just had to go to the other extreme?